High fructose corn syrup and sugar sweeten lots of food. They’re in sweet stuff like soda-pop, but they’re also added to pasta sauce, gravy, bread, and other foods that don’t seem sweet. Scientists are debating whether high fructose corn syrup is worse than sugar when it comes to making us fat. But Shawn Allee reports high fructose corn syrup is losing ground before that science is finished. Let’s face it, most of us did not know high fructose corn syrup sweetened so much food. We have no excuse now: the food industry sponsors ads like this one. Here, a policeman lines up suspects. There’s an ear of corn, a sugar cube, and a plastic honey-bear bottle. The cop turns to the victim of the crime. At this point … the policeman lets the corn sweetener go. The sugar cube and the honey bear bumble out, too. There’s a reason we’re seeing ads like this. One market research survey showed more than half of consumers had “some concern” about corn syrup. Some feel like the victim in that ad – they have this vague fear corn syrup’s worse for your waistline than sugar. And they know scientists really are looking at this question. Dr. Bart Hoebel is from Princeton University. A while ago his research team fed rats watered-down sugar. Those rats didn’t get fat, but recently his team looked at what happened when rats drank watered-down corn syrup. Hoebel says there’re several studies like his moving through the scientific pipeline. They all look at whether eating high fructose corn syrup is worse than eating sugar … but he worries the public’s missing a big point. Nearly all scientists agree we get too many calories from both corn syrup and sugar. But … market research shows people miss the caveats and mixed results behind the science. They’ve made up their minds. She studies food economics at Iowa State University. She says some food companies don’t care if customers have the science right or wrong. That’s why you’re seeing products that say sweetened with real sugar. For example, the Pepsi company is pitching a sugar-version of Mountain-Dew while its regular version is still sweetened with corn syrup. Other companies are switching, too. Jensen says this is a big change. today it’s a little different. 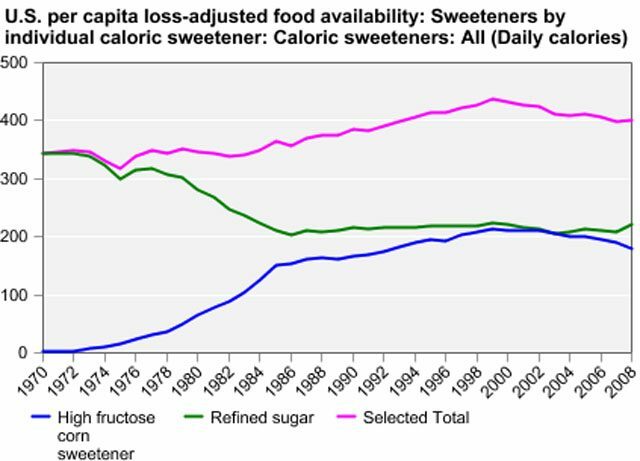 While sugar is still more expensive, it’s not as expensive as it used to be. 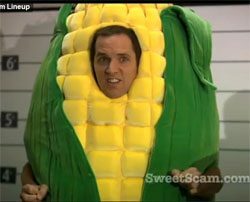 So, Jensen says if consumers are pushing a company to switch from corn syrup to sugar, the company just might pay more for ingredients to keep more customers. But Jensen has a word of caution for people who hope sugar wins the battle over our sweet tooths. She says countries like Australia sweeten a lot of food, too. But they use almost no corn syrup … they use sugar, and Australians have gotten more and more obese, just like we have in the U-S.
We know eating too much sweet stuff puts on the pounds. Shawn Allee reports a new study suggests the kind of sweet stuff matters, too. Food companies mostly sweeten things with table sugar, called sucrose, or they use high fructose corn syrup. Dr. Bart Hoebel is at Princeton University. A while back, his team fed rats regular food and let them drink watered-down sucrose to see if they’d put on fat. But, recently he let rats eat the same food, but drink a solution of high-fructose corn syrup. “The ones with the high-fructose corn syrup became significantly fatter. Hoebel says rat studies point out where we should do human studies later. 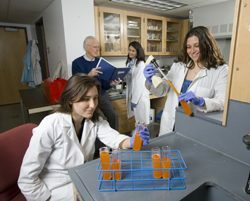 More research on corn syrup is in the pipeline, including work on animals and people. For four years, the EPA has been trying to stop the use of the insecticide carbofuran. The EPA says there are a couple problems. First, it’s toxic to birds. Second, the agency says carbofuran residues on food are not safe for us. FMC Corporation makes the chemical. It’s been fighting the EPA for years. Now it’s before a U-S appeals court. Corn, sunflower and potato farmers say they need carbofuran. 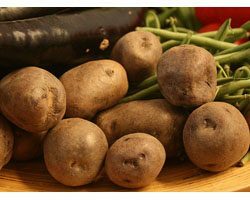 John Keeling is the CEO of the National Potato Council. The trial for the use of the insecticide is expected to last for months. 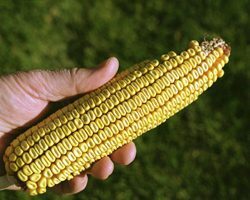 American corn is genetically modified? Virginia Walbot researches corn genetics at Stanford University, and recently she got news that didn’t just make her day – it kinda made her decade. 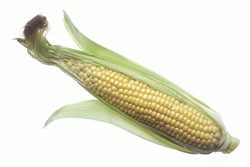 Walbot says scientists just finished sequencing genes of an important corn genome. Walbot says this research could allow us to breed new corn varieties faster than ever before. That’s a big deal because even though we benefit from corn we have now, we could make it better. For example, corn creates environmental problems – take corn fertilizer. 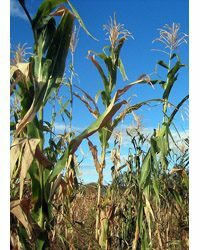 Now, most corn researchers want to meet environmental goals, but there’s a question science alone can’t answer – what kinds of corn should we grow or improve? Kinds of corn? Maybe you’re thinkin’ “corn chips” versus “popcorn” but there’re bigger differences. We eat sweet corn – most corn’s starchy industrial stuff. That’s Pam Johnson. She’s with the National Corn Growers Association. Johnson says about half our corn goes to animal feed, then we eat the meat or dairy products from that. But a lot goes to industrial products, too. Ethanol uses more than a third of the corn in the American corn market. 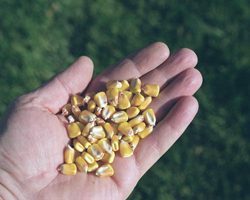 Johnson says corn farmers want scientists to create specialty industrial corn that can fetch premium prices – like corn just for ethanol or corn just for renewable, corn-based plastic. Johnson predicts new genetic science will also improve corn we eat directly, but is that likely to happen? That’s Rainer Bussman. He’s with The Missouri Botanical Garden, and he studies how people use plants. Bussman says it’s a shame food varieties of corn will get less attention from genetic research. He says he worries about food security. He figures if we grow more types of food corn we’ll be better protected from crop diseases. It’s also a matter of taste, though. Bussman’s traveled the world and tasted corn we don’t grow here – like a blue kind in South America. 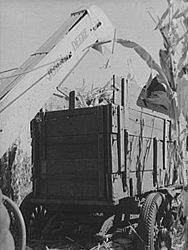 Bussman says Native Americans and the earliest settlers produced hundreds of varieties of corn for all kinds of food dishes – corn for just pudding, just bread, just porridge, and so on. They created this food diversity without modern genetic science, but we do have it. 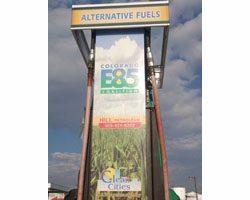 Bussman asks why should our science just improve animal feed, ethanol, and bio-plastic? Why not make food our priority, too? The U.S. Department of Agriculture reports, this past year, 88% of cotton, 91% of soybeans and 85% of the corn crops planted were genetically altered. That means corn syrup, cotton cloth, and hydrogenated soybean oil are all more than likely are from genetically engineered crops. Margaret Mellon is with the Union of Concerned Scientists. She says farmers might embrace them, but genetically engineered crops have not really advanced American agriculture that much. The makers of genetically engineered seeds, companies such as Monsanto, say their crops do increase yields by stopping weeds and insect damage. The big bio-tech companies say their crops save farmers money, mean fewer harmful pesticides and reduce soil erosion.